I had to do some grocery shopping today. 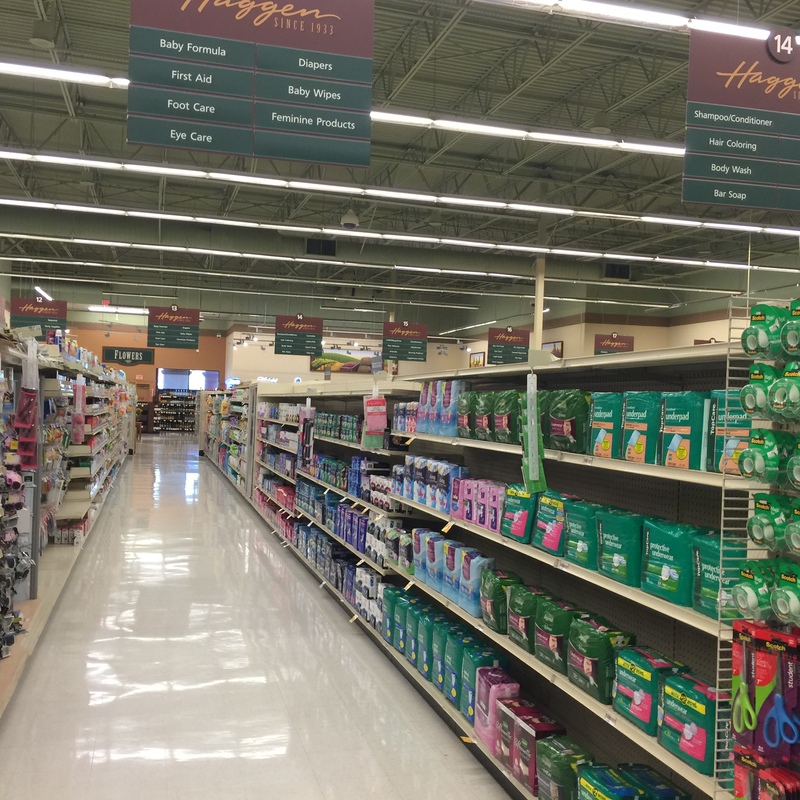 Over the past few weeks we have pretty much switched over to shopping at “Ralph’s” but today I thought I would go back to Haggen’s to see how they’re doing as the chain works it’s way through bankruptcy court. Plus I thought I would like to say good bye to many of the people who work there who we have seen over the past few years. I know that today is a holiday (Columbus Day) but still the store looked bleak. My first stop was Starbuck’s to get my grande iced coffee, no sweetener, leave room for cream. The Starbuck’s here is different because they remember our names and know pretty much what we will be ordering. Sometimes, I throw them curve ball and ask for a venti (ie. large). We chatted a bit about the situation. They told us that the Starbuck’s on Western would cease operations on 10/24 or 10/31. I talked with my meat guy. Same sad story. I think he will land on his feet. He said that he already has a job in the meat dept. at Costco. So, I took the liberty of taking some pictures. 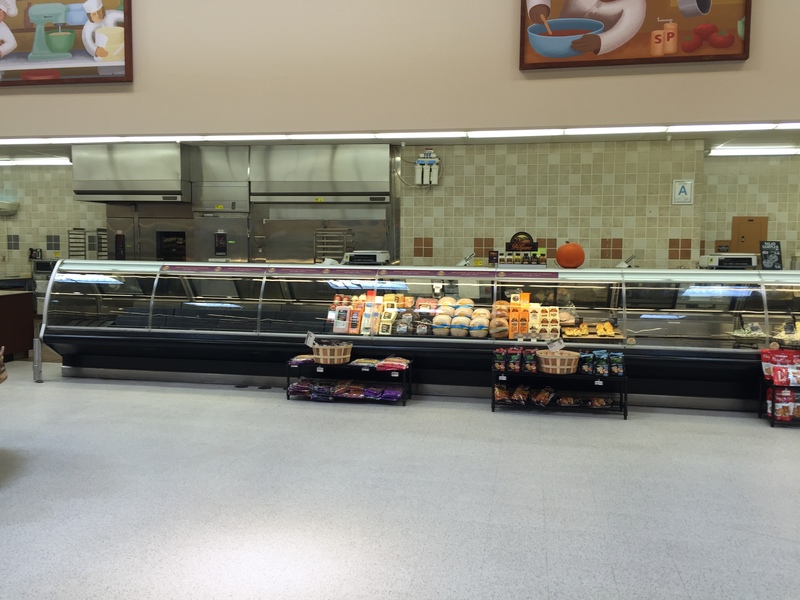 First picture is of the meat department. Right now the display is barely half full. It will get worse. My meat guy said no more supply after next week, then everything goes on sale. Then on to the bread aisle. Not much there to speak of. 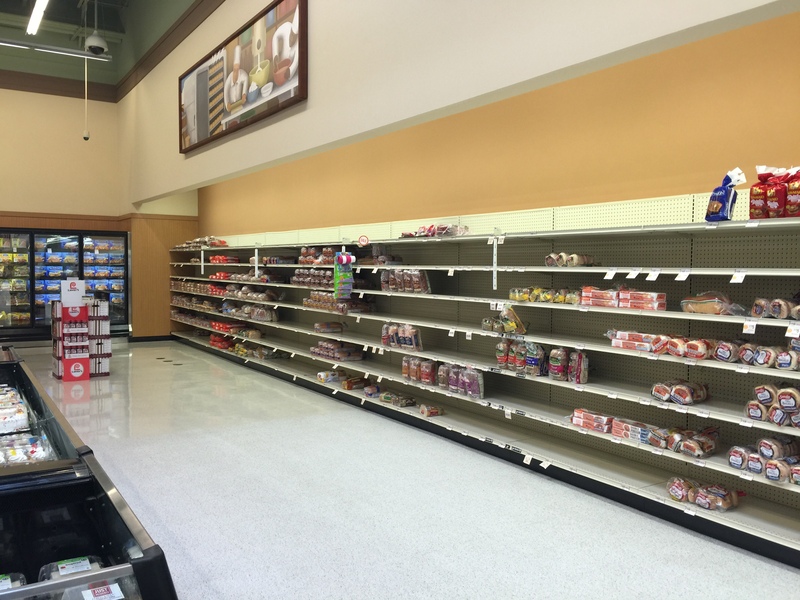 Most of the local suppliers have stopped doing business with Haggen’s for fear of not getting paid. Can’t say that I blame them. 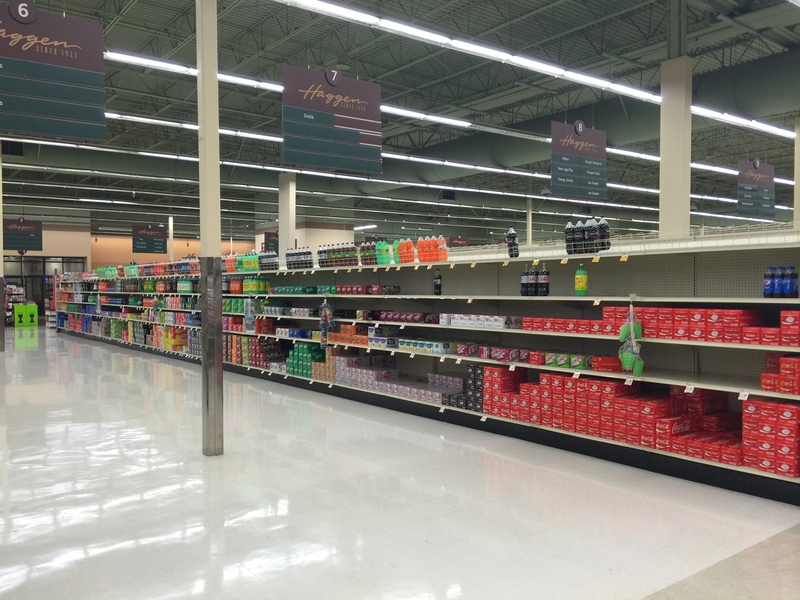 On some of the aisles, they are trying to mask the lack of product. A mile wide and one inch deep. Here’s the soda aisle. At any rate, there in the final stages of shutting down or get bought by a competitor. Final date for closing will be 11/24. We’ll see how it turns out. So, we just got back from San Diego. 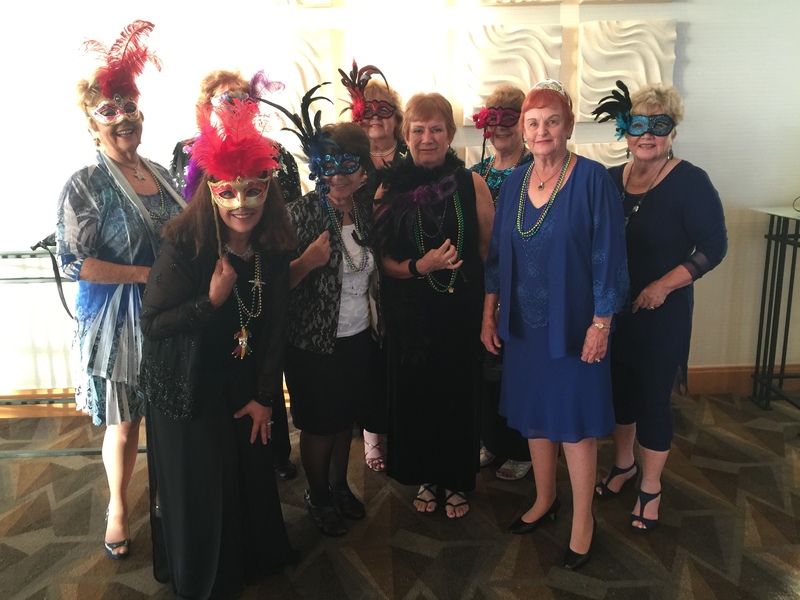 Paula had signed up to attend the Assistance League National conference at the Hilton Bayfront in San Diego. I had a choice. Either I would stay at home and mind Mary K or I could go along and hang out while Miss Paula went to conference meetings all day. I chose the latter. So we arranged for care givers for Mary from Wednesday until today. We hit the road for San Diego at about 11 am on Wednesday. Arrived by early afternoon and checked into the hotel. We got a room with a view of the Dole pineapple warehouse. The view out the other side of the bay was $20 more a night. Here’s a picture. 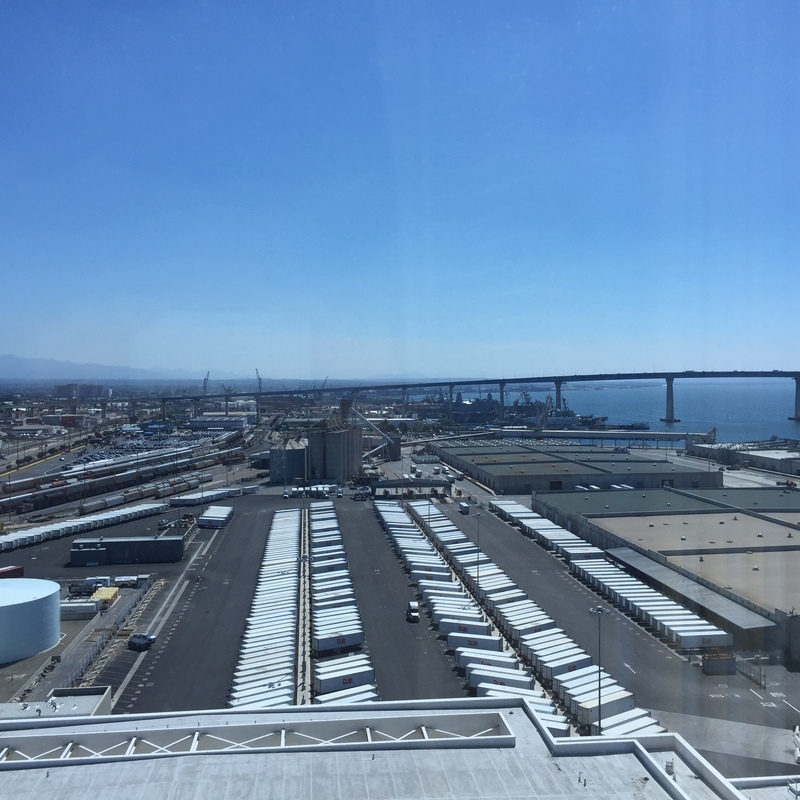 The bridge in the background is the bridge to Coronado Island. View of the beautiful Dole warehouse. So I brought all of my computing gear. Laptop, iPad and iPhone. We were invited to a cocktail party at a restaurant on Coronado serving snacks and wine. I was included in the festivities. I felt I could deal with that. We tool the ferry across the bay. So on Thursday, I joined Paula for breakfast with the AL ladies. Nobody was checking tickets so I ate for free. I had a quiet day watching people wander by in the lobby. I eventually found the Starbucks and got myself suitably caffeinated. Friday, more of the same. We had dinner at a restaurant on Coronado called the “Bluewater Boathouse Seafood Grill” I had an appetizer of Scallops. Very tasty. It went well with the two martinis. On Saturday, I decided to upgrade my iPad and iPhone to iOS V9. I seemed to have a decent wi-fi connection. I had nothing better to do so why not? Not as fast as wi-fi at home but it would do. With that complete it was time for a nap. Eventually Paula returned from her day of drinking from the firehose. She got to rest for a bit. Then off we went to the big closing banquet. My ticket was $125 Yikes!!! Was I the only one who thought the prices were outrageous. Food was good but not $125 good. Cash bar was pricey too. $12 for a mixed drink. The $12 got you just the generic “well” gin, nothing fancy. So I had dinner. Eventually I got tired of sitting there. My hearing (or lack thereof) has gotten worse over the past few years. I have a lot of trouble hearing conversations in noisy environments even with hearing aids. So I excused myself and headed up stairs to our room. So on Sunday we had planned on meeting our friends Ron & Thelma up in Del Mar Heights for brunch. Ron & Thelma’s daughter, son-in-law and grandchildren came to visit. Always ready to visit with the grand kids. They asked me if I would play some kids tunes on their out of tune piano. I was happy to oblige. Actually, the tuning wasn’t that bad. It needed tuning but I’ve played worse. So I got out my iPhone and did a bunch of kids tunes, like Old MacDonald, Itsy-Bitsy Spider. etc. Once that was done, we headed on up the 5. It seems that no matter the time or day there will be heavy traffic.. Today was no different. Home by 3:30 pm. It was a fun few days. We all had fun and a blessed respite from caring for Mary. Later.